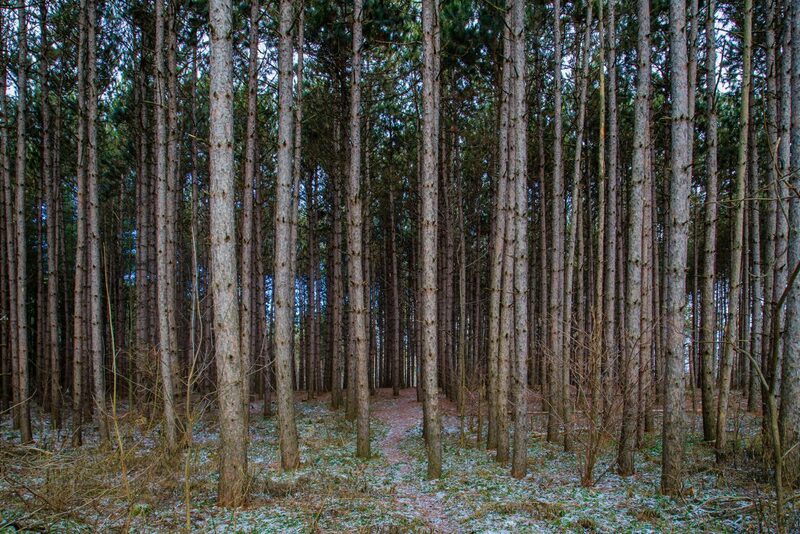 Back in the mid 1990s, the Bruce Trail Association (now the Bruce Trail Conservancy) purchased its first property in the Caledon Hills section, the Vallis property, a narrow 2.5 acre corridor of land north of the Hockley Valley Nature Reserve. Up to this point, the main responsibility of the CHBTC was to build and maintain hiking trails and manage a hiking program. Over the years our trail development team has been devoted to building trails with minimal environmental impact thus ensuring that we “walk gently on the land”. With the purchase of the Vallis property, the Caledon Hills Bruce Trail Club became more than a hiking club. It entered a new phase, one of land stewardship with the responsibility of protecting and enhancing biodiversity along the Bruce Trail corridor. Gradually, our responsibility of maintaining the narrow treadway has been expanding as that original 2.5 acre parcel has expanded to more than 300 acres that includes 19 properties and 3 easements. These include properties like: Mono Kiln Edge, Griffith Ravine, Hemlock Ridges, Cedar Highlands, the Gosling Forest and Nature Reserve, The Songbird Nature Reserve, the Quarryside Nature Reserve, to name but a few and there are more in the works. Recently the BTC updated its strategy to the year 2025. This included the new mission statement: “Preserving a ribbon of wilderness, for everyone, forever” with the vision of securing the Bruce Trail “within a permanently protected natural corridor along the Niagara Escarpment”. Strategic Priority #1 of the new plan involves the acceleration of land acquisition by identifying and implementing tools and techniques to accelerate land preservation and support growing land steward responsibilities. 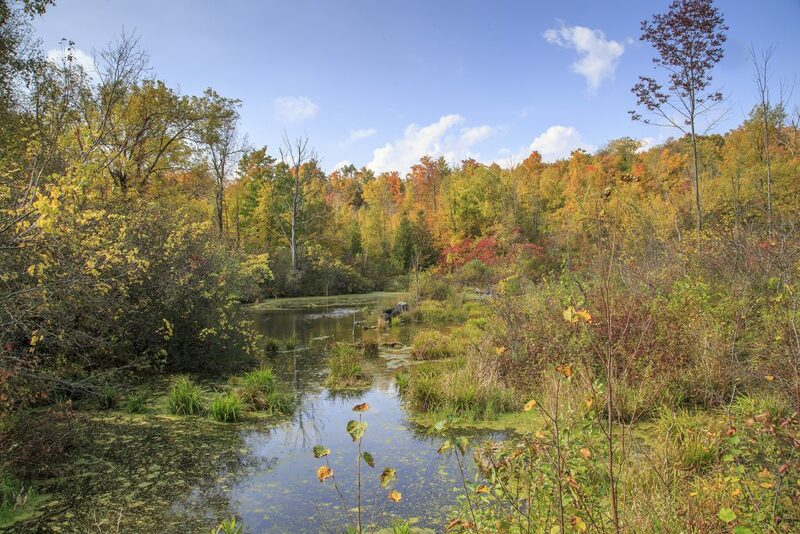 We can already see how this new vision has had an impact in the Caledon Hills section with the recent acquisitions of The Quarryside Nature Reserve and the Tall Timbers properties adding 58 acres to our stewardship responsibilities. Little by little we can visualize the BTC dream becoming a reality as new nature reserves dot the escarpment landscape. Look no further than the trail between the Airport Road and the 5th line of Mono that travels entirely through BTC lands thanks to five property purchases over the last eight years. A need to form a biodiversity team to assist with our stewardship responsibilities. By continuing to donate to the BTC for new property acquisition. It’s estimated that the BTC will need to acquire 80 more properties in the Caledon section to completely secure its section of the Bruce Trail corridor.